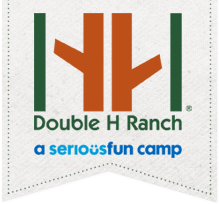 The Double H Ranch announces the appointment of F. Michael Zovistoski to its Board of Directors. “The Double H Ranch is excited to welcome F. Michael Zovistoski, Partner at UHY LLP onto the Board of Directors. Michael has been serving on the strategic long-range planning committee at the Double H Ranch and he brings a wealth of knowledge and expertise in the area of planned-giving and estate planning to our organization. His expressed dedication and desire to serve as a Board member is going to add value to the leadership of our not-for-profit organization that proudly works on behalf of children dealing with serious illness”, Max Yurenda, Executive Director/CEO. F. Michael Zovistoski is a Managing Director at UHY Advisors NY, Inc. and a Partner at UHY LLP where he oversees large multi-faceted audit, tax and consulting engagements. Furthermore, Mr. Zovistoski is an active member of the firm’s National Manufacturing/Distribution Group and Marketing Group. 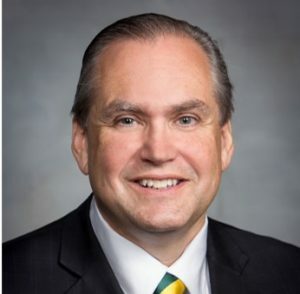 Mr. Zovistoski earned his Bachelor of Business Administration from Siena College, which sparked a 34-year career of comprehensive attest and consulting experience, which includes over 20 years as a wealth management professional. Among his many professional achievements, Mr. Zovistoski has a strong background in Civic Membership with roles as Past President of the New York Society of Certified Public Accountants, Former Member of the Executive Advisory Board for Siena College School of Business, Former Board Member of the Regional Food Bank of Northeastern New York and current Board Chairman of the Capital Region Sponsor a Scholar and the College of Saint Rose Planned Giving Advisory Board, among many others.